A few weeks ago Shirley J sent me some of their Universal Sauce to try out. I had heard lots of good things about this cream based sauce and couldn't wait to try it! My sister, Julie and I decided to experiment with a few recipes. 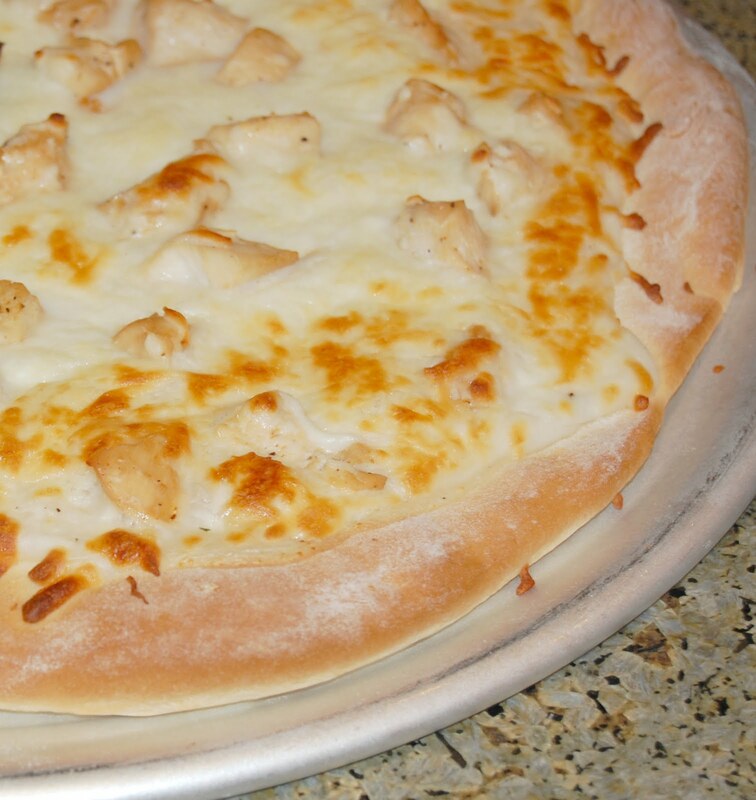 We made Gnocchi Gratin, Alfredo Chicken Pizza and Creamy Baked Potato Soup. I couldn't believe how easy the sauce made the cooking. Universal Sauce is a cream based sauce that serves as the foundation to countless recipes. All you have to do is add water. It was super easy to make and was completely lump free. We didn't have to worry about having flour, butter, milk, etc. on hand. I wanted to learn more about the Universal Sauce so I took one of the free cooking classes at the Shirley J head quarters. It was such a great class and the chef was very fun and knowledgeable! He cooked chicken enchiladas, tomato soup and macaroni and cheese from the Universal Sauce in less than 45 minutes. They were all delicious. I think the Universal Sauce will become a staple in my pantry and food storage. It's so easy to use and it's 1/4 the calories as a regular cream sauce. It also has a shelf life of 20+ years. I can't wait to try out their other products! 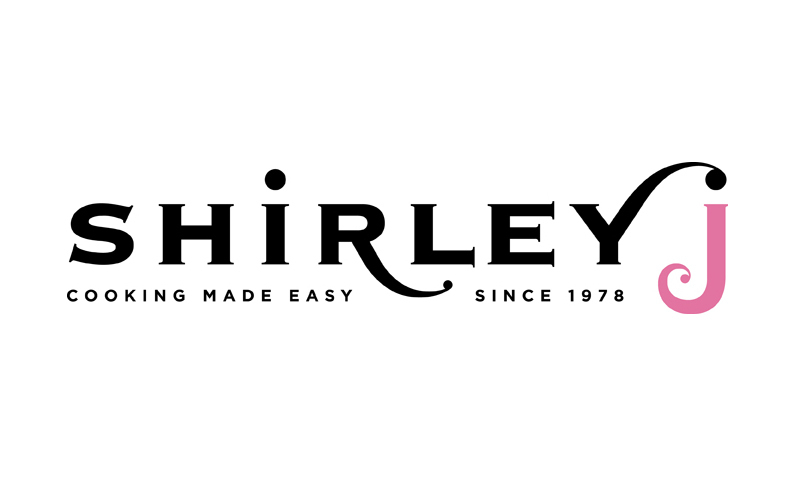 You can buy Shirley J products on the Shirley J website, through an Executive Chef or in their store. 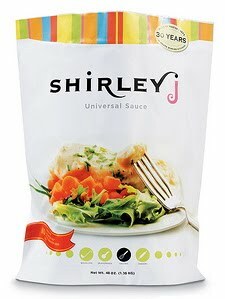 Shirley J is giving away a 48 oz bag on universal Sauce to one lucky reader! I haven't heard of this product before. Thank you for reviewing it. This sounds like something I need! Enter me. Do you just find it in the store? This definitely sounds like something I'd try... where do you find it? Do they have a store locator on their site? I am a new follower. betsybreuer@yahoo.com Like your blog! Definitely something that this working mom could use. how neat! thanks for sharing. i've never even heard of this company before! I tried several of Julie's recipes with the sauce, but the mac and cheese is out of this world yummy! Oh, I definitely want to try it! I'll have to order some when I get back to the US! I'm a big fan of Shirley J, I'd love to win! Yes, please! Universal sauce is a dream come true. the pizza looks really yummy. This sounds like a great product. I am going to have to try it. I want to try it out now. That looks awesome! I think I would try it with my 3 cheese mac n' cheese recipe and for chicken enchiladas. Do you want new followers only? I already subscribe and follow. I also posted about it on my blog. i'm a new follower to your blog. Love it! 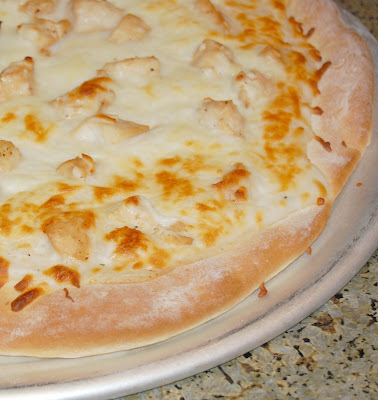 I have never even heard of this before but that pizza looks so yumtastic! I haven't heard of shirley j before. Thanks. That pizza looks good. Sign me up. Deedee, this sounds delish, and I must admit my very favorite sauces are cream based! Chicken Fettucini Alfredo, etc!! Decadent! Oh and of course I am a follower! I also have never heard of this product before, but I think it sounds very interesting. I esp. love the long shelf life too! MMMmmmm....I'd love to try some soup recipes with this sauce. I know my husband would appreciate this!